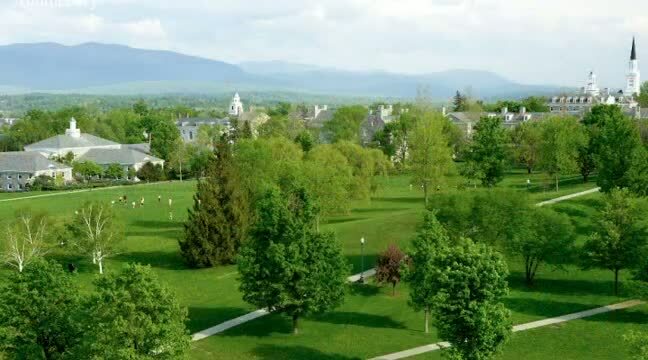 Your four years at Middlebury are a time to learn about your interests and talents both in and out of the classroom. Choosing a major, committing to campus activities, seeking a summer internship—these are all part of the career exploration process. environmental ethic and interests as a political science major. Think about your career exploration as a series of progressive steps you can take in each of your four years. Open the sections below for guidance on how you can approach this journey. Come to Quick Questions between 1-3 p.m. weekdays to find out more about career education resources. Seek leadership roles in a student organization, athletic team, or through community service. Apply for a winter term or summer internship. Update your resume and have a counselor review it during Quick Questions: 1−3 p.m. weekdays. Consider doing a winter term internship: first time you're eligible! Attend Career Conversations with Middlebury alumni to learn more about a potential career field. Apply for a stipend for your unpaid summer internship or project. Apply for a winter term or summer internship: gain additional experience. Come to a drop-in appointment to update/polish your resume; make an appointment with an adviser to discuss strategy. Apply for funding for an unpaid summer internship or project. Create your LinkedIn Profile, and review our Social Networking Tips. Attend Senior Meeting and Senior Week activities. Update your MOJO profile and your resume. Meet with an career adviser to discuss your post-graduate options. Attend employer and graduate school information sessions. Apply for jobs, internships, and fellowships, or other post-graduate opportunities listed in MOJO and LACN. Apply to off-campus interview-day events in Boston, New York, and Washington, D.C. Schedule a practice interview with a career adviser. Attend the Spring Job Fling. Complete your senior survey before graduation. Attend a CCI Open House and get to know our staff. Complete your MOJO profile: Get access to thousands of internship opportunities, plus up-to-the minute information about alumni Career Conversations, visiting recruiters, professionals in residence, events, and workshops. Participate in a Decision Points workshop to explore the major-to-career connection. Create a resume and cover letter for internships and summer job applications; have it reviewed by a career adviser during Quick Questions: 1−3 p.m. weekdays. Get involved on campus: Explore your interests through student activities or community service. Attend a Career Conversations event and information sessions to learn about liberal arts career paths from Midd alumni.